Motorola has begun to roll-out the Android Ice Cream Sandwich update for its European Razr and Razr Maxx smartphones. Select users of the highly-stylised GSM handsets are now receiving Android 4.0 the update, while the rest of the crowd will be getting it "in the coming week." The selected roll-out will seek to identify any issues before Moto gifts the software to everyone else. 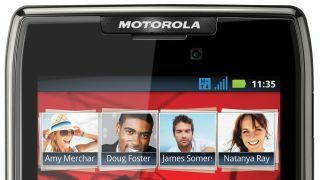 Moto took to its European Facebook page to make the announcement, ending the long wait for Razr fans. Android Central reports that the update brings a revamped Android lock screen, launcher and 'visual changes' to match handsets like the Moto Atrix HD. US users already have the update, so it's about time Moto got its rear in gear and added a tasty bite of Android Ice Cream Sandwich for its European users.